Pick up from the Skopje airport. Accommodation in a hotel in Skopje. 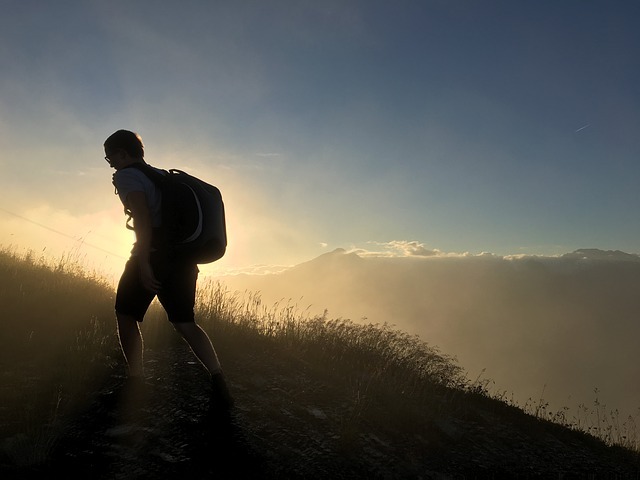 Orientation walk and time on your leisure. Welcoming dinner in a national restaurant. Overnight. Breakfast. After the breakfast we start a walking tour from the centuries old Kale – Skopje fortress. We will continue to the Old Turkish Bazaar, mingling with the locals, meeting different cultures and religions, old forgotten crafts, as well. 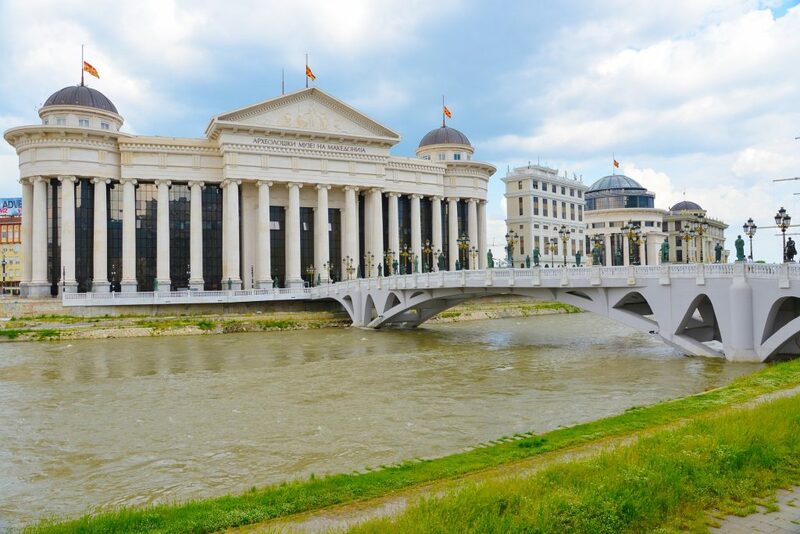 After that we go to the Museum of Macedonian struggle, with possibilities to also visit the Archaeological museum of Macedonia with one of the biggest ancient coins collection in the world, exclusively from the Macedonian territory. We walk across the Stone bridge, the land mark of the city, and stop in front of the biggest monument and fountain of Alexander the Great. The next stop will be the memorial house of Mother Teresa. She was born in Skopje in 1910. Lunch in a national restaurant. After that, we drive up to the close mountain Vodno to visit so called complex Ethno village, that presents various houses built in Macedonian architecture from different regions in the country. Next to the complex, we visit the church of St. Panteleymon with Renaissance frescoes from 12th century. Free time for individual activities. Breakfast at the hotel. Visit the megalithic observatory Kokino (3800 years old), the fourth oldest and most important in the World, ranged by NASA. On the way to the observatory, we make a stop in one of the most beautiful medieval churches in Macedonia, St. George, with well preserved spectacular frescoes. Lunch in Ethno restaurant. After that, we will visit the site Kuklica, where you can see stone dolls. Legends have been told for centuries about the creation of these stone dolls. 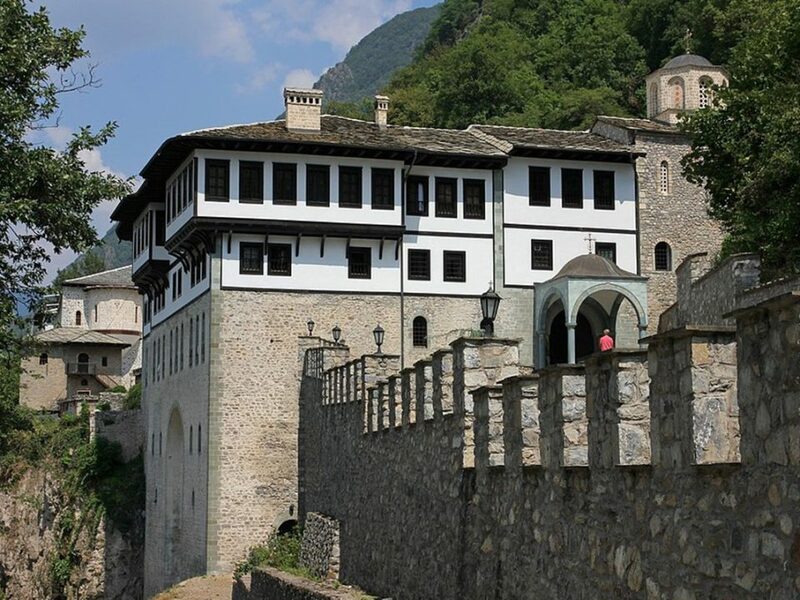 Arrival at Kriva Palanka and overnight in the isolated monastery St. Joakim Osogovski, high in the mountain with a breath taking view and possibilities to meet some of the Macedonian orthodox rituals. Dinner in the monastery.Overnight. Breakfast at the hotel. We will drive to Berovo. Accommodation in a hotel and then walk in the unique nature around the town, the mountain lake, with a national lunch at a tea-hut, meeting the locals. The area and the mountain is well known as the air spa in Europe. Overnight and dinner at the hotel. Breakfast at the hotel. 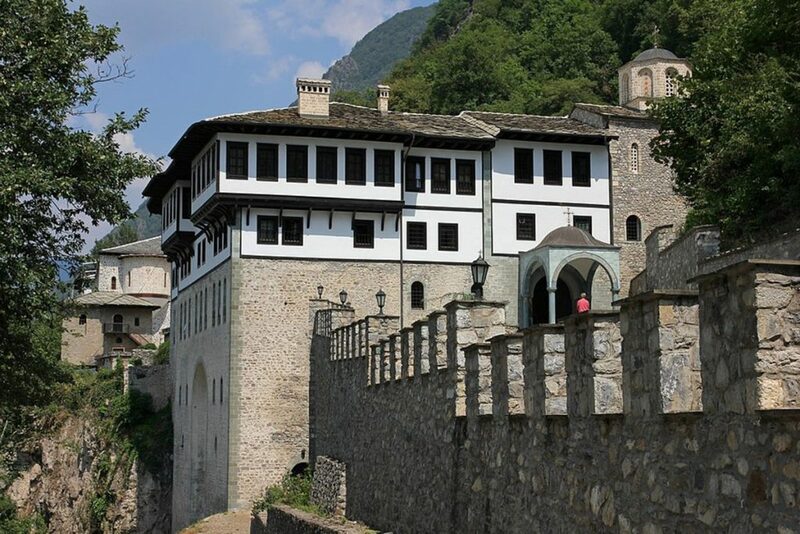 We drive to Strumica, where we can visit medieval monasteries: “St. Leonthius” – Vodocha and “Holy Mother Merciful” – Veljusa, nuns monasteries, dating back in 9th century. You can buy souvenirs and products, handmade by the nuns. Lunch in a national restaurant. After that we are going to visit Smolare waterfall, the biggest in Macedonia (39 metres). After this, we head to Demir Kapija. We will finish the day with wine tasting in the winery Popova Kula in Demir Kapija. Alexander the Great drank wine in the 4th c. B.C. from this region, and some varieties from that period can still be tasted there. Overnight and dinner in the winery hotel. Breakfast. Today we will visit the biggest ancient city in Macedonia - Stobi. The oldest synagogue in Europe, from 1st century A.D. is found in this archaeological site. After that, we are headed to the biggest winery in Macedonia – Tikvesh. We will have lunch there with wine tasting and a tour around the winery. Transfer back to the hotel. Free time for leisure. Overnight. Breakfast at the hotel. We will continue our tour to Prilep, where we will visit the monastery “Archangel Michael” and see the frescoes of King Marko and King Volkasin, the last Christian medieval Macedonian kings from the XIV century. You can also visit the center of Prilep, together with the old leaning clock tower from the Turkish period. Our tour continues to Bitola. Visit of the ancient city Heraclea Linkestis, dating back from the time of ancient Macedonian king, Philip II of Macedon (359-336 BC), the father of Alexander of Macedon (Alexander the Great), who founded this town. Visit the museum of Bitola and Kemal Mustafa – Ataturk, father of modern Turkey, who finished the military school in this building. 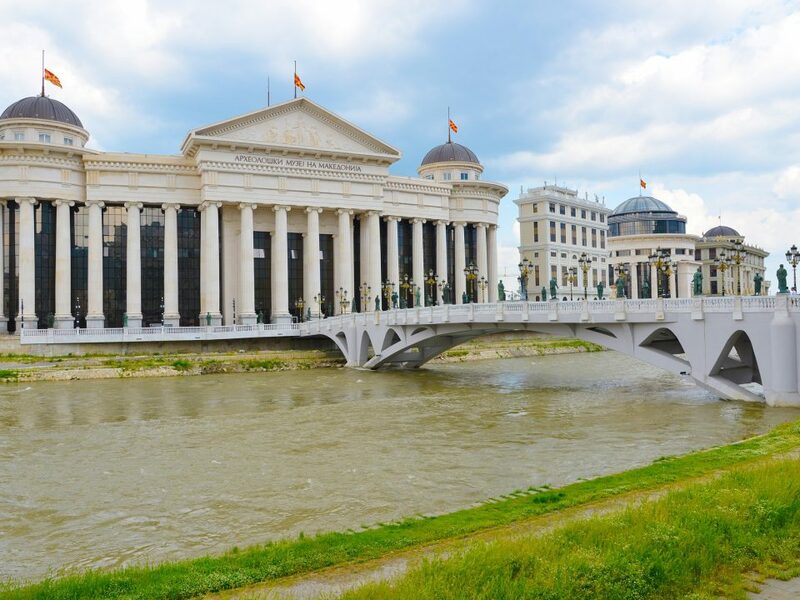 Stroll the most famous Macedonian street, Shirok Sokak”. Accommodation in a hotel. Breakfast at the hotel. Driving through the National park Galichitca at 1.700 meters altitude with the most spectacular view in Macedonia over the two lakes, Ohrid and Prespa. Tour through the old city of Ohrid. Town of UNESCO. One of the oldest towns in Europe. Full of history with traces of four thousand years of civilization. 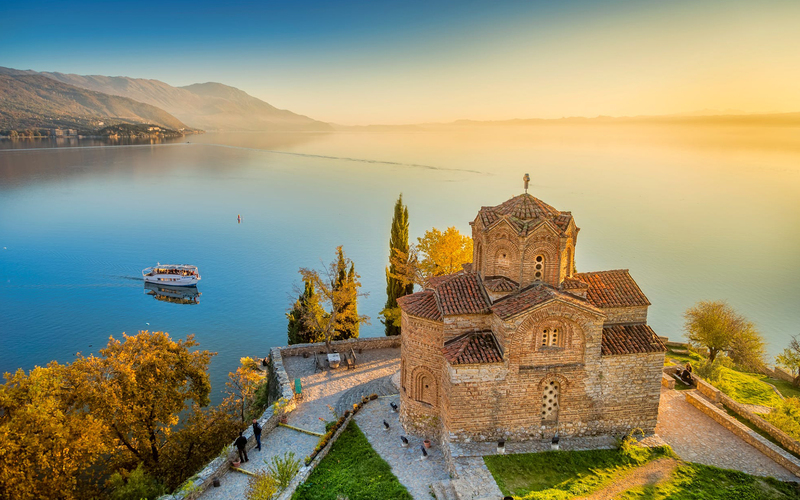 We will visit famous untouched medieval churches, fortress of King Samuel with a beautiful panorama, the ancient Macedonian-Roman theater, sailing with small boats on the way back to the centre. Explanation of the history, the biggest open air museum of the Byzantheum. Lunch in a national restaurant. Free time to explore more of this UNESCO site. Dinner in a national restaurant with a folk ansamble and traditional Macedonian songs and dances. Overnight in a hotel. Breakfast at the hotel. Boat trip to unique prehistoric settlement on water from the bronze age, the most visited site in Macedonia. Explanation by the professional curator. We continue sailing to the extraordinary monument of nature - lake springs and the monastery of St. Naum from 9-th century. Lunch in the restaurant in the springs. Free time. Sailing back to the town. Dinner in a restaurant. Overnight in a hotel. Breakfast at the hotel. We drive to the ethnically and religiously mixed town Tetovo to visit the unique Colourful Mosque, painted from outside and inside in different colours, presenting paintings of towns and cities from 19th century, a kind of a Renaissance in the Islamic world. After that, close to the capital Skopje, we will visit one of the most beautiful canyons in Europe, Matka, with the river Treska. We will have lunch break in the restaurant on the bank of the river, possibly river trout, and by small boats we will set sail 6 km upstream to visit the cave Vrelo, full of cave decorations, like stalactites and stalagmites. Accommodation in a hotel. Farewell dinner in a national restaurant. Breakfast at the hotel. Free time. Driving to the Skopje International Airport, about 40 minutes from the hotel.